This Precision Decade Resistance Box is of higher accuracy and resolution. Resistances are of high precision tolerance, extremely low Temperature coefficient. Switches are gold plated and of low contact resistances. 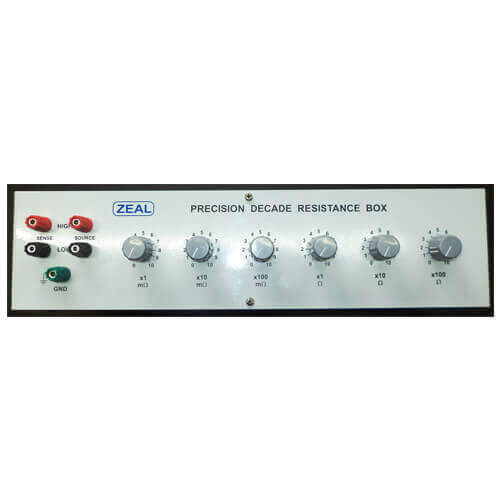 ZEAL make Precision Decade Resistance Box is very popular choice to the calibration laboratories of all corners of India and world. It finds application to calibrate Low Resistance meters, RTD based Temperature Indicators.